Our services involve one of the largest collaborative networks of feeding and swallowing experts in the country. We coordinate care to ensure patients receive the right treatment at the right point in time at the right location. Our approach involves a continuum of services—from outpatient to day treatment to inpatient care—matching the level of therapeutic support to your child’s needs. 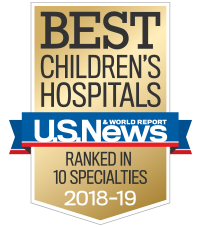 Pediatric feeding and swallowing services are offered at our hospital campuses, outpatient rehabilitation neighborhood locations, imaging centers, Marcus Autism Center and the Center for Advanced Pediatrics. We offer transitional or temporary housing options to meet the needs of families traveling for services. Difficulty with eating and drinking can significantly impact a child’s overall health and development. We offer diagnostics and treatment for children with common and rare feeding and swallowing problems. Our services are provided by expert clinicians who specialize in pediatric feeding and swallowing problems. Our team works collaboratively to match patients with the right services based on need. Some feeding and swallowing difficulties require a more intensive and structured approach. Our Multidisciplinary Feeding Program involves a team of specialists providing care within the same clinic.